Upgrade - Stage One OPEN!! Timaru District Mayor Damon Odey officially opened the first stage of our new permanent upstairs exhibition space last month. 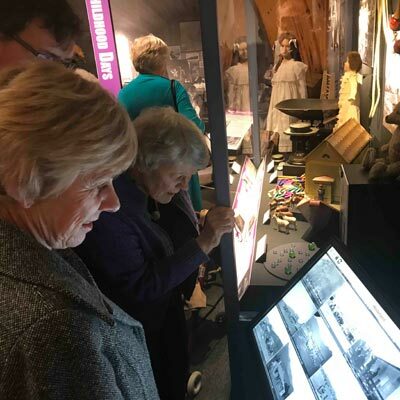 Guests at the opening and visitors since are loving the new spaces, exploring the drawers, and scrolling through the touchscreens. Our thanks to all who helped make the upgrade such a great success. If you haven't yet been in to explore the new spaces, come on in and take a look! Of course the best way to see more is to visit us!